As we have discussed here, cats are carnivores. They need meat. Veterinarians may recommend commercially produced cat food which is supposedly complete nutrition for your cat. As we have discussed in this article, commercial pet food is more commercial than food. 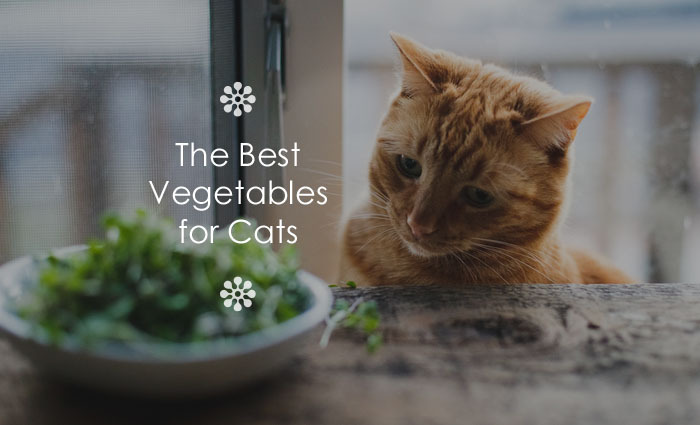 Although cats are not omnivores like humans or dogs, a smattering of vegetables will provide a healthy treat now and then. Below is a gallery which is a starting point as a list of vegetables that are healthy for your cat. Introduce them slowly and in a way which is easy for your kitty to consume. Small slices or chunks may be fine with some items. A food-processed, “pre-digested” or cooked state might work better for others. Sounds weird but pre-chewing your cat’s vegetables may be helpful with some produce, if you serve it raw. Small amounts are always a good idea, so you don’t disrupt the digestive system of your little, fluffy meat eater. Lightly steamed, served in small morsels as a healthy snack. Rich in beta-carotene and fibre, among many other vitamins and minerals. Kids don’t like ’em. Many cats do. Can be served raw or slightly cooked, depending on your cat’s preference. Although there are some fruits that are perfectly acceptable as snacks for cats, we chose to confine this list to vegetables, as cats have a difficult time processing the higher sugar and carb properties of many fruits. Vegetables are treats, secondary to a cat’s primary nutrient source. Domestic cats must eat meat protein. This is a result of their ancestral genetics. Why meat? Simply put, their bodies cannot do the nutritional “conversion” of vitamins and minerals obtained from plant based foods. They must rely on another animal to process the nutritional substances first, then receive the nutrition, via the prey’s flesh, which can then be absorbed by their feline digestive system.